Will you take part in Barcelona Marathon 2019? Accommodation Nearby: If you're participating or cheering someone on, you'll need somewhere to stay! 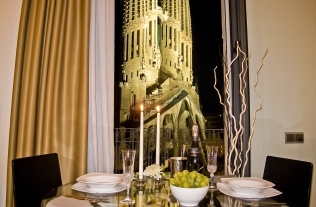 Consult our range of apartments in Barcelona. The Largest Sporting Event of the City Returns! 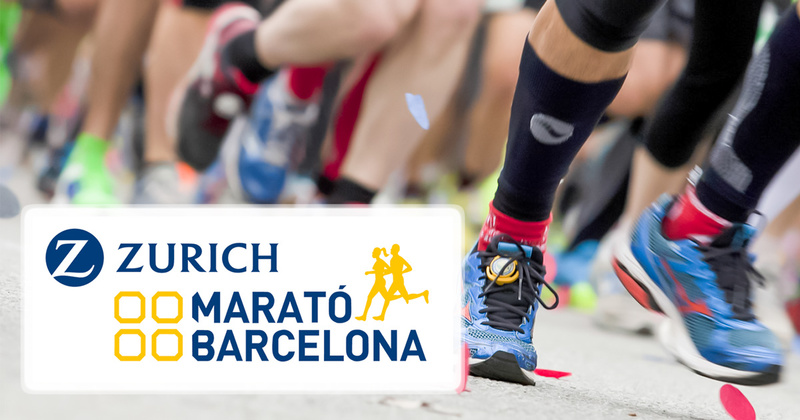 The 41th edition of the Zurich Barcelona Marathon 2019 will fire the pistol and commence the race on the 10 March 2018. Barcelona, ​​the Olympic city of 1992, is home to an international, well-respected marathon that has become a tradition in the sporty city. In the past few editions, it has maintained its position as the fourth largest marathon in Europe, surpassed only by the stratospheric figures of the marathons in Berlin, Paris, and of course, London. This course if great for those who want to improve their time, as the course is relatively flat. This has largely been thanks to a brilliant organization and change in direction over the past few years, which shifted the marathon route to pass by various landmarks and tourist attractions. Along the way runners will find the Sagrada Familia, the Camp Nou football stadium and will trudge along Las Ramblas, with the wonderful sensation of having Barcelona's scenery pass by with every step. Until 2005, the race was known as the Catalunya Marathon and started in 1978. Last year, the winning male was Jonah Chesum from Kenya won with race with a time of 2:08:56 hours and the winning female was Helen Bekele from Ethiopia with a time of 2:25:04 hours. In 2010, Kenyan Jackson Kipkoech Kotut won the race with a time of 2:07:30 hours, which is a course record and the fastest marathon ever run in Spain. All attendees will have to pick up their number, chip and goodie bag at the Expo Sports. You must bring the ID card or passport along with the email you receive with your bib number. Collect it from Fira de Barcelona, Recinto Montjüic (pavilion 8) and 9 and 10 March from 10am – 8pm. You will not be able to collect it on the day of the race. The day before the marathon, the Pasta Party takes place at the Expo Sports, where pasta dishes are offered to participants in the marathon and one other person for free. This takes place from 12pm – 4pm. The pasta provides runners with carbohydrates needed to the big day and is a great bonding experience for all the runners. During the run there will be crowds cheering on the participants at various points around the city offering music and support. The Marathon is one of the most important in Trail, Triathlon and running in Europe. So put on your racing shoes because Barcelona is waiting for you!.